Argentine superstar Valeria Bertuccelli arrived at the Sundance Film Festival, to world premiere her new film, The Queen of Fear, co-directed with Fabiana Tiscornia. Not only does Bertuccelli give a fearless performance, but this is also her impressive debut feature as a screenwriter and director. The film follows neurotic actress Robertina as she prepares for the opening of a one-woman show, finding new ways to procrastinate rehearsal all while confronting internal struggles. The endlessly charming Bertuccelli sat down with TropicalFRONT for an exclusive interview where we discussed her inspirations, fears, and filmmaking future. 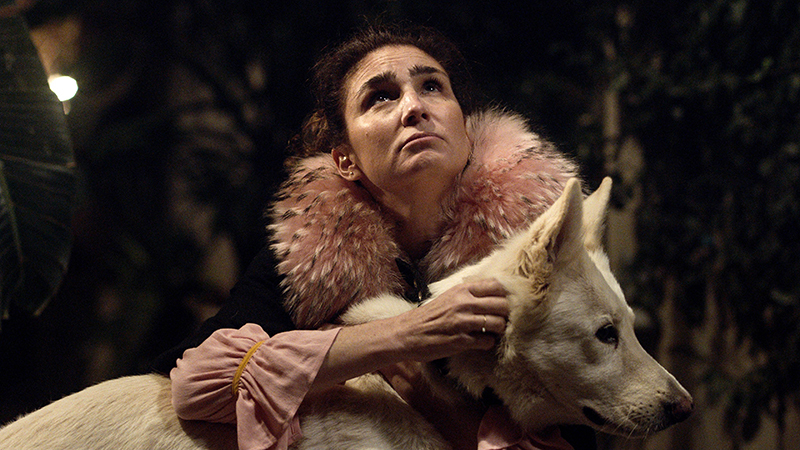 Having worked with a number of prominent Argentine directors, ranging from Juan José Campanella to Daniel Burman, Bertuccelli believes onset osmosis inspired her own directing style. However, she cites two filmmakers in particular as her biggest directorial inspirations: the Spanish filmmaker Mar Col, whom she worked with on We All Want What’s Best for Her, and Martín Rejtman, who gave her two of her biggest breaks with Silvia Prieto and The Magic Gloves, and is thanked in the closing credits. When asked if she has future plans to direct and write more films, Bertuccelli could only clasp her fingers together like an evil genius and let out a villainous “yes!” We can’t wait to see what she has planned next.